Here at Reddish Joinery, we're incredibly proud of all our installations. So much so, that we've launched an exclusive monthly competition to find the best pictures of them! A luxury addition for any property, orangeries are a seamless way of extending homes thanks to brickwork integration combined with surrounding glazing. Perfect for use as a kitchen, dining room, or inside garden. An ideal method of introducing a bright and comfortable space to your home, all our conservatories come supplied to be weathertight and efficient for year-round use, whether it’s a hardwood Georgian conservatory or uPVC conservatory. Come rain or shine, conservatories impress. Whether fitted using low-maintenance uPVC or attractive timber, the Reddish range features a suite of door styles perfectly suited to both contemporary properties or period homes. Insulation and style will always be enhanced. More than capable of completely transforming the appearance of your home, Reddish Joinery Windows come tailor-made, stylish, and energy efficient. Available in uPVC and timber, Reddish windows let the light shine through. 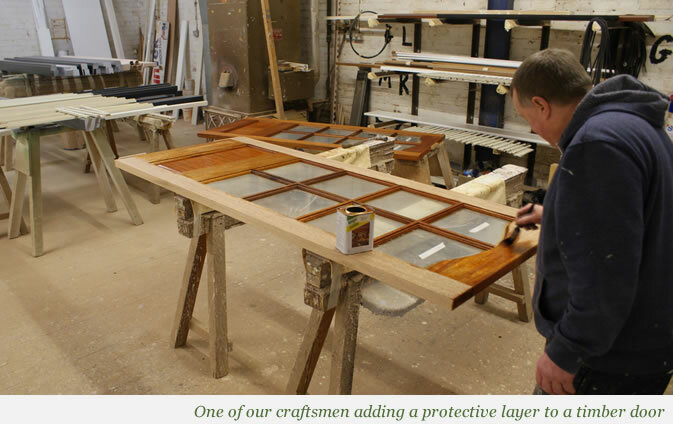 Representing the very finest that timber can offer, wooden windows, doors and joinery engineered in Accoya allows them to easily rival the likes of aluminium. Thermally efficient, eco-friendly, and natural, Accoya is timber perfected. Reddish Joinery have provided high quality installations, including timber windows and doors for more than 50 years. From our beginnings as a specialist timber joinery in Cheshire, we now design and install uPVC and other home improvements using the same high level craftsmanship and attention to detail as ever. We manufacture and install timber windows, aluminium windows and uPVC windows and doors, including sash windows, bifolding doors and composite doors. We also offer bespoke home improvements like timber joinery, wooden conservatories, LivinROOF conservatories and timber orangeries. At Reddish we are always happy to successfully assist you on your home improvement journey, serving any home across from Warrington to Manchester. Render your living space energy efficient, thermally insulating with double glazing, and just generally more comfortable with new reddish windows, doors, or a luxury hardwood conservatory. If you’re looking to add extra space to your home or simply want to modernise your windows and doors, Reddish Joinery can help you achieve your dream house. Contact us today!